Just like everybody thinks that they can write a novel after reading one, become a chef after watching an episode of MKR or renovate a room after seeing a DIY home show, many people think that they know what it takes to make a great website, with their average to mediocre web skills and self-taught eye for design! Working in this industry we have seen firsthand several web design blunders that make us cringe and moan. There are many, many web design mistakes that you should avoid - and essential components to consider when working on a website - however I have listed my top 9 design elements that you need to think about when creating a website, so your website will stand out online. Any visitor to your site must know what your site is about within seconds. Grabbing the viewers' attention without overwhelming visuals or complicated navigational structure is paramount. Keeping your website simple, clean and precise in detail and format will engage your viewer and make them want to look further into your website. Organise your information in a simple and structured way, ensure it has a logical flow and will lead visitors to the relevant sections of your website. Should your webpage be too long use anchor links to help readers find their way on the page. Font is important - If you use a fancy font - you want it to enhance your website by giving it a sophisticated look. You want to make sure the viewer can CLEARLY read the text and feel comfortable with the look & feel of your website. Ensure that you do not use a tiny font that is difficult to read. Colour is also an important aspect to consider, and has a great deal of meaning and symbolism attached for various people. Avoid using harsh colour! Nothing is more irritating than going to a website and needing a couple of nurofen after 10 minutes because of a hideous and harsh colour scheme. Think about the design elements of your site - not simply your favourite colours! Avoid underlining, bolding or using italics with majority of your text - the same applies with changing the colour of the text. Put simply - it looks amateurish and silly! Blinking text is also hideous and old fashioned - A big No! No! 3. AVOID REGISTRATION UNLESS NECESSARY AND NEVER SUBCRIBE! Nothing irritates people more than subscribing the visitor for something without his/her consent. Do not automatically subscribe a visitor to newsletters when he/she registers on your site. Sending unsolicited emails around is not the best way to make friends - if anything it can alienate your viewer and make them search elsewhere. The same applies for Registration. People are wary to give out too much information and rightly so. No one wants to be pressured to register or leave any information before proceeding on your website - it leaves a bitter taste in many viewers mouths - and rightly so - as it suggests a lack of trust and gives the viewer a feeling of something perhaps suspect going on. Not what you want for a potential customer. It is important to make links visible. You should be able to recognise what is clickable and what is not easily. Avoid cloaking links as your site loses credibility and it just looks dodgy! The user must be able to see where the link is pointing. Any broken links on your site can suggest to many that your site is not maintained - and therefore you are losing potential customers. Link rot is something that happens without even noticing. Make sure you use a HTML validator and link checker to help you check older pages for broken links. Functional Links are important to a website. Ensure that you have functional links on the footer of your page. Linking to the Contact Us page and your social media platforms is smart and shows your presence on the web. Content is an essential component to any website! Ensure that your content is scannable, precise and to the point. Large sections of texts on the home page will be lost on the viewer. People need to grab the meaning of your site within seconds and then want to read on. Anything that helps the reader filter through the information is helpful as long as it is set out in an organised manner i.e. ; bullet points, headers, sub headers, lists etc. Avoid long pages that scroll on and on -otherwise people will probably just want to skip it. Shorter pages improve the navigational structure of your site. Ensure that you are not scrolling horizontally across each page of your website - this is a No! No! Spelling and Grammar is important on the Web as it is everywhere else - ensure that your text and the links you have do not have any spelling or grammatical errors. Keywords that are relevant to your business and industry are important to think of in terms of SEO (search engine optimization). Ensuring relevant keywords in your page titles, meta tags and headings as well as content will help potential customers find your business online. 6. USE OF MUSIC, GIFS, FLASH POP UPS AND BADGES =NO! In the early days of web design, developers would try to link music into their websites - and it never worked well! Avoid it if possible - it causes more hassles than it's worth and looks dodgy! If you need to use an audio file let the user start it - by pressing a play button - that way it is at their control. Many web developers go crazy with Flash - it is not needed and can increase the load time on your website, and annoy visitors. Only use it where you think it will enhance your site, NOT overdo your site! Pop ups are annoying and distracting from the original purpose and content of your site. Avoid them -they can look tacky and detract from a clean functional website. The same applies with Animated GIFs. Unless you have advertising banners that require animation - it is best to avoid GIFs - they too can look tacky and detract from the content of your site. There are many different formats of browsers out there and not all of them interpret CSS and other languages the same way so it is imperative that your website is compatible across all browsers and formats. The same applies with ensuring that your website is mobile responsive. Given the amount of mobile applications and tablets available ensuring that your website is easily read on these devices is essential in today's technological world. One of the most important things you need to do for your website is make sure it loads as quickly as possible. Obviously internet connection is a factor here however large images and lots of embedded scripts will impact your download speed and irate your viewer. Make sure images are resized appropriately and scripts use appropriate compression techniques. You also need to make sure that you include your contact details on your site. There is nothing worse than a website with no contact information. Contact information reminds people that the site is being maintained by a "real" person. Make sure that someone is regularly following up on your website - answering emails and messages etc. Many messages and emails go unanswered and as a result - this is a loss of business! Last but certainly not least and one of the most commonly overlooked elements of good website design are the use of Call To Actions. What is the point of a great website if your customers or potential customers are not prompted into action! Ensure that each page of your website has an appropriate Call To Action. If this is an E-Commerce website this may be in the form of well layed out Add To Cart buttons. For a services business it might be in the form of a Contact Form or link to one whenever you are talking about your services. The idea here is to make it as easy for your customers to engage with your business. It's no good having great content if your potential customer cannot seamlessly be engaged into action. If they can't quickly engage with you then you risk losing them! With over 600 million websites in the world, and everyone one on the internet - getting your business online is one of the best things you can do to reach your customers. Of all these points mentioned the most important is making sure your website has a strong and clear message. Your viewer should know exactly what your site is about and be engaged by your site within the first few seconds of viewing it. Think about what you want your web presence to achieve? What products or services do you offer/sell? Your homepage must be clear in its message and content. Many websites fail online to communicate the essence of their business/product to customers on their homepage and thereby lose potential leads and sales. Your website can be a customer's first impression of your business in this ever busy world - make it stand apart from the rest! 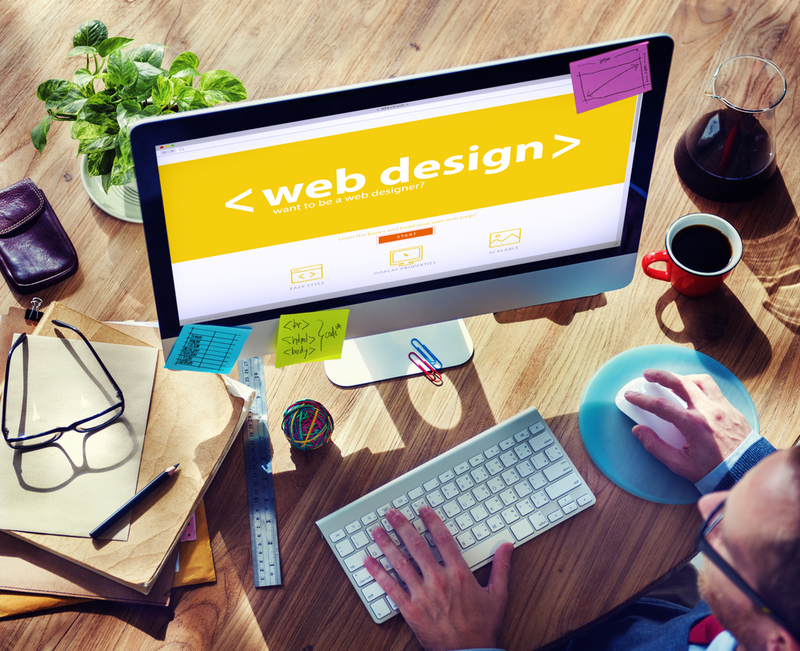 If you want help ensuring your website can be a success online - Give Central Coast Web Design a call or email today and see how we can make your website shine online!